What I didn’t say was that I’ve been shopping at Whole Foods for this fish. And it. is. lovely. While we’ve been taught to beware of frozen fish, places like Whole Foods (or mail order Alaskan salmon companies) truly have incredible frozen fish. 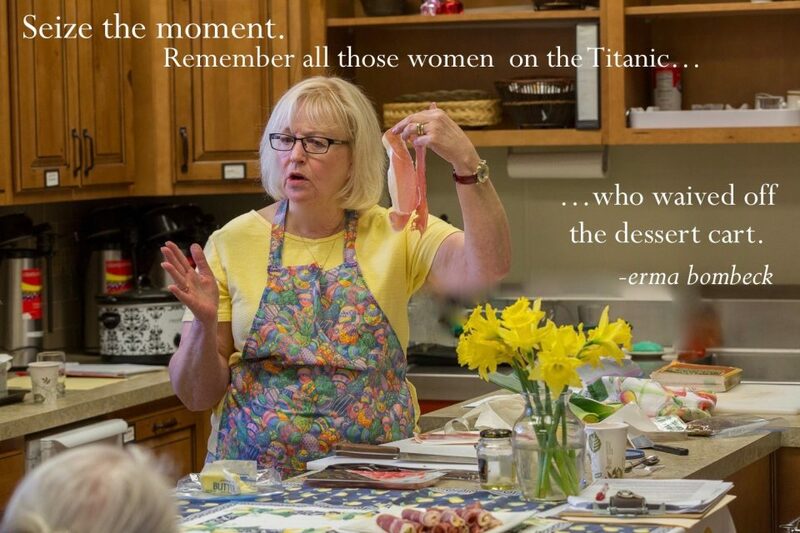 That information comes straight from one of their fishmongers. This is a fun one-pan meal. 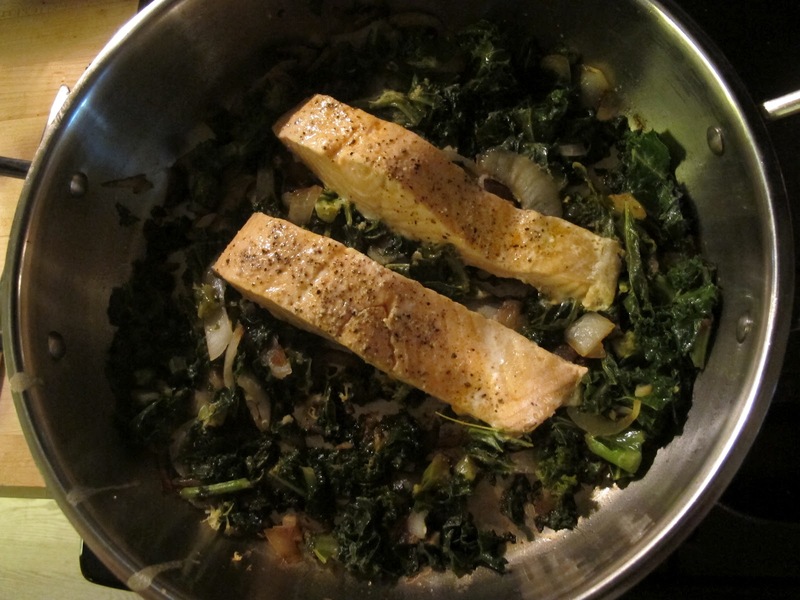 You cook up some onions, garlic, and kale with lemon and white wine…top with salmon, put a lid on it and call it dinner. 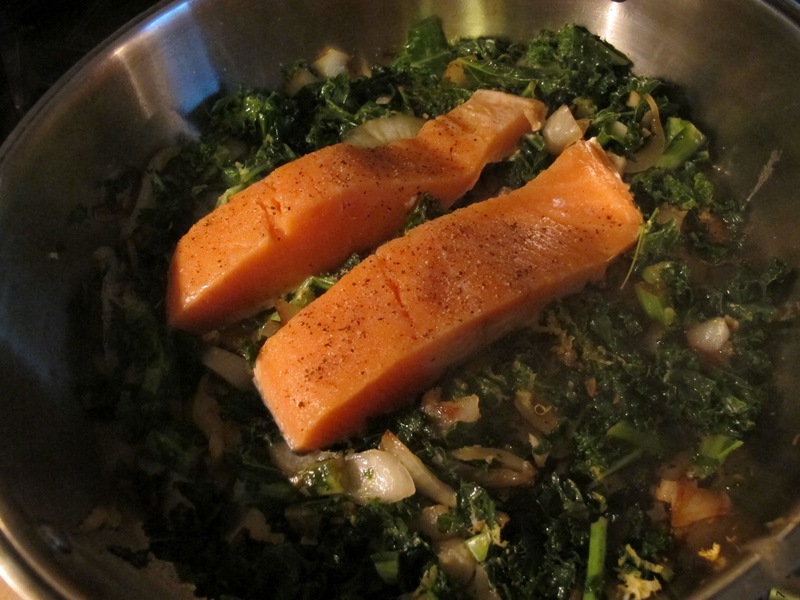 Heat a 12-inch, deep skillet over medium high heat with 2 tablespoons olive oil. 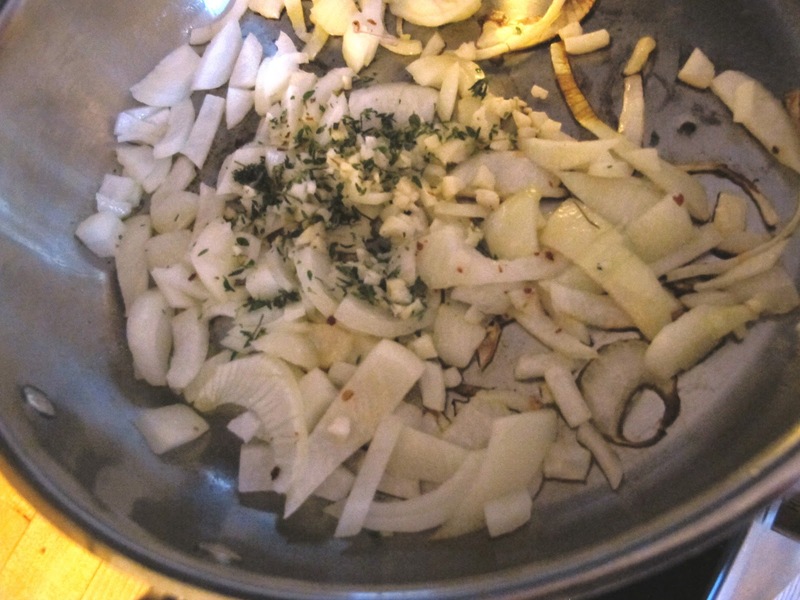 Add a chopped large onion and sauté for about 5 minutes with 1 /8 teaspoon crushed red pepper. Add 2 cloves minced garlic and cook another minute. Season with a pinch each of kosher salt and pepper and a teaspoon of fresh thyme (or 1/2 teaspoon dried thyme), chopped. Stir. 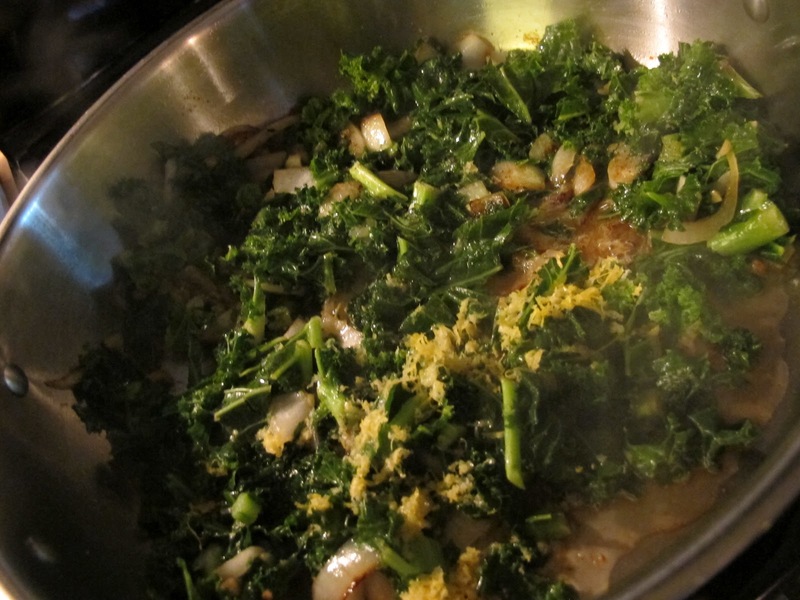 Add 5 ounces chopped kale (2-3 cups) and let cook down, stirring occasionally, 2-3 minutes. Add 1 teaspoon grated lemon rind, the juice of one lemon, 1/4 cup white wine, and season liberally with kosher salt and pepper. Add 2 salted and peppered salmon filets (about 6 ounces each) skin down. Reduce heat to low. 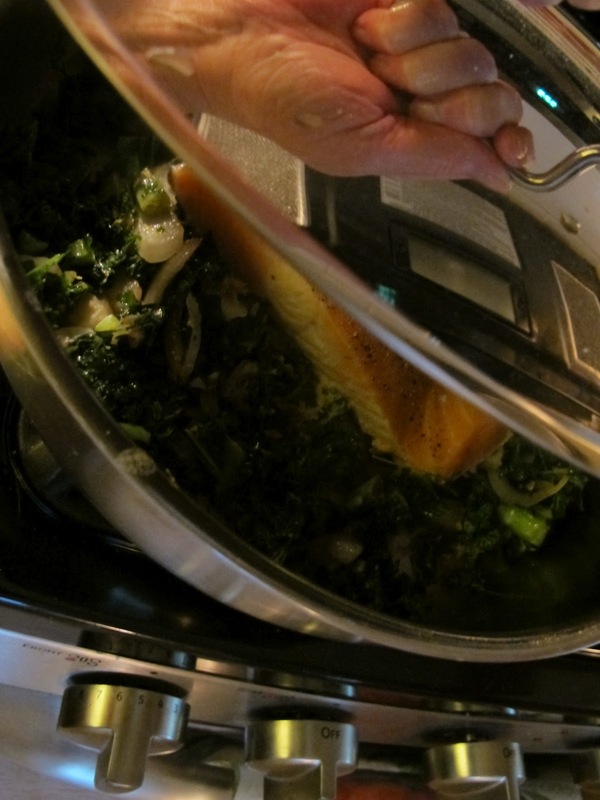 Cover and steam about six minutes or until salmon is just barely firm, but still moist at center. 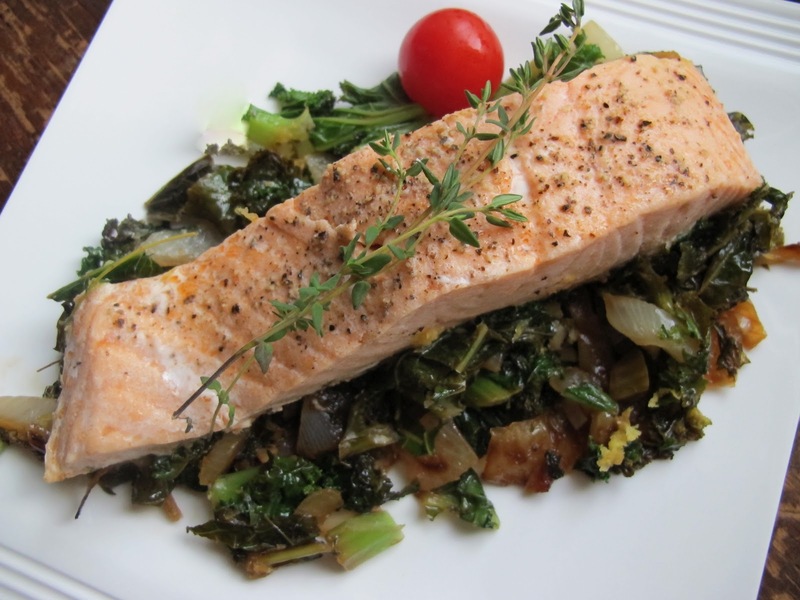 Spoon greens out onto a plate and top with salmon. Serve hot or at room temperature. Wine: My friends, if you drink wine: please buy yourself a case of Sineann (Oregon) Red Table Wine …. and have them ship it to your house. Not only do you not need a wine opener (German-style glass topper you open with your fingers), you have a lovely dinner wine for less money than many of the less expensive Pinot Noirs (not worth buying) in the stores. Make the plunge. Order yourself some wine. Of course, Sineann makes some of my favorite Oregon Pinot Noirs (and a few other things)…at a bit steeper price…and they need a little (not a lot) cellaring. The red table wine, on the other hand, is imminently drinkable. Sineann makes a variety of wines that are all nearly perfect, but I must mention they also do a white table wine…I have a case of that arriving Tuesday. Winters are long in St. Paul. Not that I’d know since it’s still seventy something *$%&## degrees and dry as a bone out in my yard. I may have wine, but my lilacs are almost dead. That's such a great salmon recipe. I love buying packet salmons and tilapia. if u don't cook with wine what is a good substitute for this recipe? @Anonymous Chicken broth would be scrumptious in place of the wine. Let me know if you try it! I had everything in the house except for kale, which was on sale for a buck at the grocery store across the street. DH expected leftover chicken tonight. Boy, was he surprised. Also he LOVES kale! I substituted a lime for the lemon since that's what I had on hand. It was delicious!This recipe is going into my recipe binder. Thanks! @Unknown I'm so glad you liked it. Also that the lime worked in place of lemon. Sounds yummy. Delicious! Ditto on going into my recipe book.. This tasted awesome and was very easy!! The only changes we made were to substitute chicken stock for the white wine and add a bit more red pepper. Turned out great! Thank You! @Anonymous So happy you were able to tweak the recipe to suit you. I never dreamed something I whipped up just to have something for dinner one night would turn out to be the most popular recipe on the blog, but it is! I'm crazy about fish cooked in or on top of vegetables.